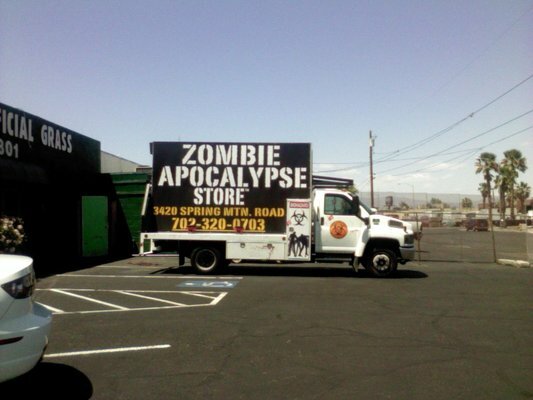 Las Vegas is now (for a few years) home to a store devoted specifically for the zombie coming. I have grown tired of rolling my eyes at everything zombie related, but even I haven’t stopped using it as a simple metaphor for an unknown major catastrophe. Though I had planned to steer clear of Las Vegas in a real apocalyptic event, I do wish them luck in this panicked market.